Wine culture is inextricably linked to Venetian gastronomy. Let yourself be amazed while exploring vegetable gardens and vineyards nestling in the gardens of Venice and in the typical landscape of the islands of the lagoon. There is evidence of the cultivation of vines on the islands since the early Middle Ages, including in ancient maps which attest to the connection of current place names with viticulture. Horti et Vinae have always been an inevitable fact of life within the gardens and monasteries of Venice. Today, with all the recent and sudden social changes, knowledge of viticulture has gradually faded. However, the passion of several Venetians has led to the rediscovery of this great heritage of the city, the revival of the ancient vineyards, and the recovery of some of the fascinating stories that revolve around the lagoon’s wines. This tour through the culture of wine in Venice and its surroundings will enable you to get a fuller appreciation of one of the genuine features of the history of the City of Water. There is no corner or ‘campo’ without a bar or tavern where you can drink a decent coffee or a glass of wine with a cicheto in the company of a friend. And there is always a reason to give a banquet: a family celebration, a regatta, a festival. There is always an opportunity to party, and festivals in Venice would not be what they are without good food and intoxicating wine. Walk in the city in the Rialto area. Rialto, in the heart of Venice’s historic centre, hosts the traditional fish, fruit and vegetable market. This is where all the most outstanding features of Venice and its surroundings are concentrated. As you walk, immerse yourself in the atmosphere of the City of Water, amidst picturesque views and the delicacies of Venetian food and wine. Listen to stories about food production in the history of Venice and visit the vineyards inside the city. Meet a local Venetian business dedicated to preserving and enhancing local products and recovering abandoned vineyards in order to experiment with grape production and traditional wine-making practices. On this tour you can enter a secret garden and find out more about this exclusive and innovative winery of Venice. Dinner in a typical bacaro (tavern) where delicious seasonal snacks, traditional dishes, and local wines come to the fore. As soon as you reach the island aboard the vaporetto, you will immediately be enveloped by the atmosphere of the lagoon with its briny fragrance. The tour is a true mini-cruise along the lagoon canals that offers you beguiling interplays of colour in a magical atmosphere from morning to sunset. Note the bricoles with their clinging seaweed and mussels. And the salt marshes with their rising seagulls and herons. Lunch in the typical local tavern is an unforgettable experience with its traditional recipes based on lagoon produce which are simple and rich in flavour. Sant’Erasmo is the largest island of the northern lagoon, known by the name of ‘Orto di Venezia’. Here every season yields its produce: radicchio, cabbage and fennel in winter, zucchini, salads and tomatoes in summer. The island is especially famous for the violet artichoke, Slow Food Presidio, and for its ‘castraure, early artichokes picked to stimulate growth of the main crop. 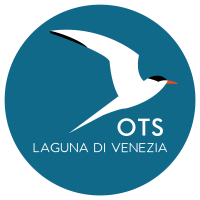 Visit of a winery on the island with a tasting of its fine wines, which are the product of the major project to restore the ancient vineyards so as to continue the wine-making tradition of Venice. Excursion to explore the Wine Route in the Regional Park of the Colli Euganei. Follow the itineraries dedicated to the culture of wine, explore the wineries between walks and tastings and taste traditional flavours in the agriturismi deep in the setting of the forests of chestnuts and oak. Stroll through the vineyards and olive trees, to see the places where the superb produce and flavours of this land come from and to meet their producers, who will be happy to welcome you for a tasting in the cellars, oil mills and agriturismi. There are all kinds of produce on offer: wines, extra-virgin olive oil, liqueurs, jams, honey and many dishes from local gastronomic tradition. Villa Alberti is your eighteenth-century home, a protagonist in the fascinating history of the Venetian nobles which blends Venetian architectural tradition with the comforts of a hotel. Here you will start your journey to reach Venice and to explore Serenissima and its surroundings.